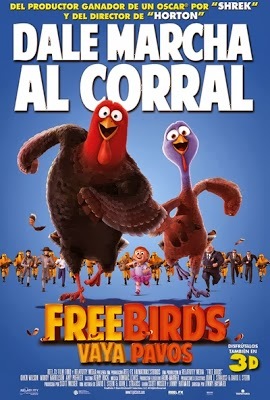 Doblaje original: Woody Harrelson, Owen Wilson, Amy Poehler, Keith David, Dan Fogler, Colm Meaney, George Takei, Lesley Nicol, Josh Lawson, Kaitlyn Maher, Dwight Howard, David S. Lee, Danny Carey, Eddie 'Piolin' Sotelo. Guión: David I. Stern y John J. Strauss, basado en una historia de Jimmy Hayward y Scott Mosier. Producción: Peter Farrelly, Cary Granat, Ed Jones, Scott Mosier, Alonzo Ruvalcaba, David I. Stern, Geoffrey Stott y John J. Strauss. Diseño de producción: Mark Whiting. Productoras: Reel FX Creative Studios y Relativity Media.